Cost of capital is much lower for public companies than for private companies, especially with respect to equity versus debt. A private company, on the other hand, is more likely to fail in regards of raising capital, and consequently, has to reward investors with a larger piece of itself to get the capital it needs. That is why many entrepreneurs will attest that raising money for private companies is much more difficult than it is for public companies. The easier it is to sell stock, the more liquid the investment is. Stocks in public companies are far more liquid than in private companies for both legal and practical reasons. The liquidity of a public company’s stock motivates buyers to pay more for that stock than they would if the company was private. Other reasons to consider going public include the ability to use the company’s stock as currency in mergers and acquisitions, prestige and the ability to attract employees with stock options and stock grants. The huge burdens presented by U.S. government regulations place disproportionately high compliance costs (in time and money) on small companies. This is why many North American companies today opt instead to go public in Europe. Listing on a European exchange provides access to millions of international investors who shy away from the higher broker fees in America. European markets have no monthly or annual filing fees, and investors hold on to their stocks for longer periods of time than Americans do (thanks to tax advantages being granted for stock retention). The result is more stable stock prices and less day trading. 1. All Shares in Germany and Sweden are freely traded. Unlike the OTCBB and Pink Sheets, the German and Swedish Stock Exchange do not restrict the sale of shares held by officers, insiders and directors. 2. No Naked Short Selling in Germany. It was completely banned by Germany in 2010. Some critics blame short sales in large part for having caused market downturns, such as the crash of 1987 and 2008. When short sellers manipulate stock prices (usually on the OTCBB and Pink Sheets) by taking naked short positions and smear campaigning on chat rooms to drive down the target stocks, they inflict great damages upon the company's shareholders. This is a notable problem on the OTCBB and Pink Sheets that should not be underestimated as too many stocks listed on the OTCBB are trading in the sub-penny range. 3. Quick Listing. A listing on the Frankfurt, Stockholm, or Stuttgart stock exchange is much faster than any American listing. Time is money, so waiting six to twelve months to become listed on the OTCBB or Pink Sheets is not ideal. A listing on a European stock exchange from scratch could take as little as 6 weeks. 4. No Sarbanes-Oxley. The U.S. compliance costs associated with the 2002 act has raised hurdles for companies wishing to go public in America. Two separate studies, one conducted by a group of executives and academics, and another by McKinsey and Co. for former New York Mayor Michael Bloomberg and New York Senator Charles Schumer, have come to the same conclusion; the strict requirements of the Sarbanes-Oxley Act and the inherent costs have made U.S. stock exchanges less than favorable places for U.S. companies to go public. Among other provisions of the law, high penalties may be imposed on companies for mere alleged misconduct, thereby increasing the costs for audits. 5. The OTC Bulletin Board is not an official stock exchange, unlike Frankfurt, Stockholm and Stuttgart. OTC Bulletin Board-listed securities are traded by broker-dealers who negotiate directly with other brokers. OTC stocks are considered “penny stocks” by licensed brokerage firms, and SEC rules require that all buyers of such stocks must be unsolicited by their clients. This prohibits brokers and their firms from lawfully soliciting their clients to purchase OTC securities. Unlike the OTC markets, the German and Swedish stock exchanges are internationally recognized, just like NASDAQ or NYSE. Frankfurt Stock Exchange is now considered the most internationally accepted exchange in the world, with more than 80 countries listed. The worldwide electronic securities trading system, Xetra, is the newest and most versatile stock trading platform in the world. It is one of several reasons that companies are switching to the Frankfurt Exchange and other European stock markets. This software platform is continually scanning the market for suitable buyers and sellers faster than the New York platforms. Furthermore, it is the fastest in detecting irregular buying patterns and issues "alerts" when irregularities are found. For example, by the end of 2010, more than 65 percent of the total trades on Frankfurt Exchange were from countries outside Germany, with 22 percent from US investors and 24 percent from UK investors. 6. 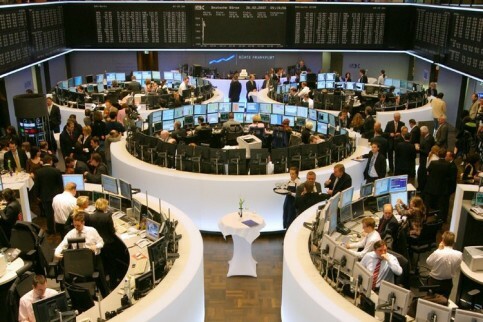 The Frankfurt Stock Exchange has direct access to more than 1/3 of the world’s investment capital. The Frankfurt Stock Exchange receives massive exposure to investor capital with more than 250 international trading institutions and more than 4,500 traders worldwide. Investors directly connected to the Frankfurt Stock Exchange represent a full 35 percent of the world’s investment capital. This means that a listing on the Frankfurt Stock Exchange gives companies access to greater than 1/3 of all the investment capital in the global market arena. 7. The Frankfurt Stock Exchange has the highest liquidity of all exchanges in Europe, including the London and Paris Stock Exchanges. It has a higher turnover velocity than the London exchange and ranks third in the world in terms of sheer trading volume, behind NYSE and NASDAQ. 8. Costs for a German/Swedish listing are considerably lower than an OTC-market listing. As mentioned previously, the Sarbanes-Oxley Act has resulted in very high listing costs for trading on the OTC-markets. Costs for a listing on the Frankfurt Stock Exchange are small in comparison. Additionally, if a company decides to list on the Swedish Nordic MTF market, a subsidiary to Börse Stuttgart, will later allow for a mirror listing on the Börse Stuttgart with no hinders. In conclusion, Frankfurt, Stockholm and Stuttgart offer less cost, better liquidity, and greater access to capital. Call us today to discuss a listing of your company.